We saw something really interesting come out of Baltimore this week, from Goucher College. 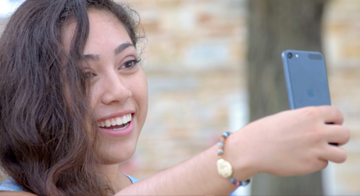 They announced that — beginning with applicants for the 2015-2016 academic year — Goucher will become the first college in the nation to accept "video applications". Students can choose not to submit transcripts, test scores, and other traditional application materials. Instead, they can send Goucher a straightforward, two-minute video about how they see themselves flourishing at the college. OK, so that's the story. In my opinion, this is a brilliant idea. President Bowen is using technology (web video) to really innovate in the area of college admissions — an area that could (let's face it) certainly use some innovation. I love that he's willing to take a risk, and try to do something that will actually help students in the college application process. Good luck @josebowen, hopefully other colleges will follow your lead!